When asked who they would trust the most, 56% of consumers said an Expert or Certified Stylist! 57% of salon professionals believe that certifications are valuable for driving business and attracting clients. ARE READY TO TAKE YOUR CAREER AS A STYLIST TO THE NEXT LEVEL? Now more than ever, creating a point of difference for you and your salon is critical. Consumers continue to search for stylists who provide top notch design services and are considered a design expert… and they are willing to pay for it! Your next step is to become a Redken Certified Design stylist! CERTIFICATION: The act of making something official. Granting credit or recognition with respect to an educational institution that maintains suitable standards. Becoming Redken Design Certified requires passing a 3 part written and practical exam. You need to achieve a passing score on exams that assess your technical skills, knowledge of Redken products and principles, and your approach to creating specific outcomes. The Redken Design Certification is a 2-day exam, with a prep class included. Tuition payments are non-refundable. 50% minimum deposit required at the time of registration. Balance is due no later than 60 days before the program. Points are required to be redeemed in full at the time of registration. You will not receive your study kit in the mail until you are paid in full. Should an individual be unable to attend the original program in which they registered for, they may reschedule for an alternative date and location within the same calendar year. If they are unable to commit to another date and location at the time of cancellation, they will be issued a refund, less a $100 processing fee – as funds cannot transfer over into another calendar year. For payments made via Level Reward Points, they will receive a refund, less 6,700 points as a processing fee. The individual will have 3 months to use their refunded points before they expire and can no longer be used. If you fail to cancel your registration a minimum of 72 business hours prior to or do not show up for your scheduled program, all funds will be forfeited. Funds cannot be reimbursed nor transferred to another program. I have been using Redken products for 5 years, do I have to attend the Redken Specialist program and Redken Design Authority first? 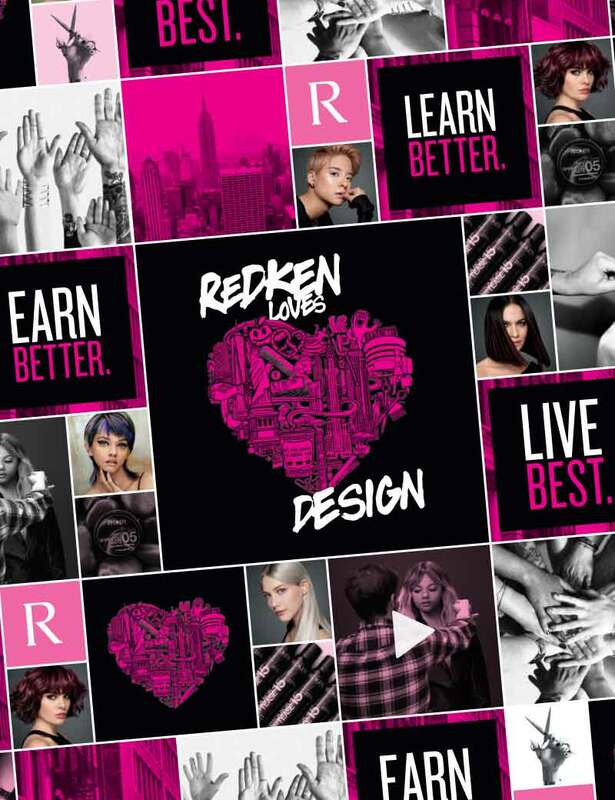 The Redken Design Certification is an advanced level exam that assesses your technical skills, knowledge of Redken products and principles, and your approach to creating specific outcomes. The Redken Specialist and Redken Design Authority programs are meant to be building blocks to Redken Design Certification; preparing and giving you more knowledge about design. Do I need to attend Redken Design Authority before I take Redken Design Certification? Yes. The Redken Design Authority program provides you with the tools for success in passing your Redken Design Certification exam. Will I receive any materials in the mail prior to the program? Yes. Once paid in full, you will receive a study kit in the mail that will provide you the necessary materials needed to study for the Redken Design Certification exam. If I fail the Redken Design Certification exam, do I have to retake the whole exam? How far in advance should I register and study for Redken Design Certification? We recommend you allow yourself ample time to study and prepare for the exam. Registration closes 30 days prior to the exam date. If I cancel my registration, can I receive a refund? No. Tuition is non-refundable. However, if you need to cancel from Redken Design Certification, you have up to one year to apply the funds to another Redken Design Certification. Or, you can designate someone else to attend your original session in your place. A comprehensive Redken Design Certification study kit that includes all the essentials you need to study with and pass the exam. “Being Design Certified by Redken gives me immediate street cred. It gives you a leg up on your competition.